With “NBC Nightly News” moving back to its old stomping grounds — the space formerly known as Studio 3C but now designated as 3A, here’s a quick look back at the most recent “Nightly” sets. For a look at old “Nightly” sets going back to Tom Brokaw’s tenure, read this. 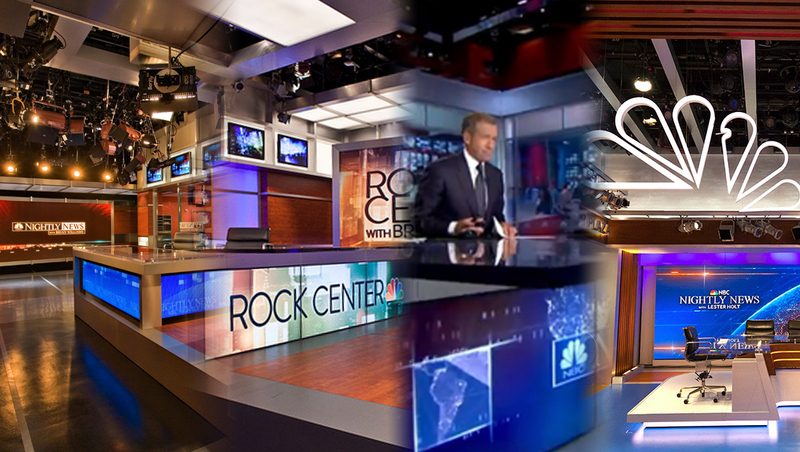 In 2007, NBC News opted to consolidate operations for NBC News and MSNBC to its 30 Rock headquarters, pulling MSNBC out of its converted warehouse studio in Secaucus, New Jersey. 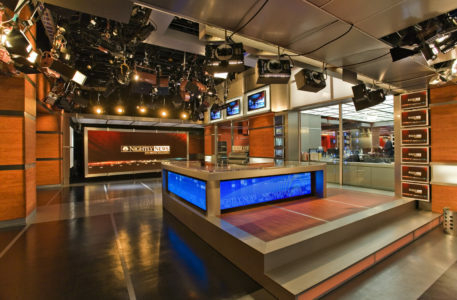 MSNBC was given one end of the combined Studio 3A and 3C space, while “NBC Nightly News” got a glass enclosed space on the opposite end, creating a virtual bridge between to two networks. The space was dominated by right angles, warm woods and grays, along with a wide “floating” rear projection screen. The set was designed to be shot using the rear projection screen or through a window overlooking the working newsroom space beyond and, farther in the background, the MSNBC studio space. The space also included a flexible, but rarely used video array that mimicked a window. After moving out of this space, the set was completely demolished.